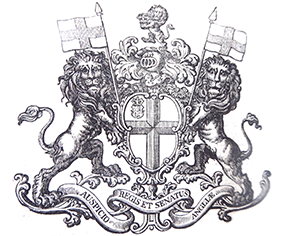 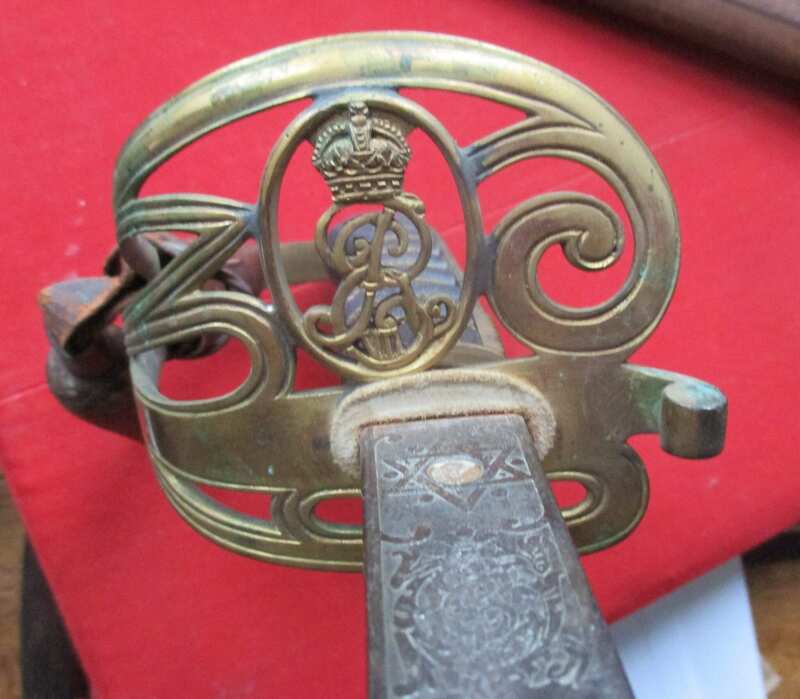 The sword, by Holt & Son, Sackville St, London W has a 33 inch blade, 1 inch wide at the shoulder and with the standard royal EVIIR to one side of the blade but rather than the usual royal arms to the other it has the RAMC Caduceus design beneath an imperial crown and with the motto In Ardus Fidelis beneath. 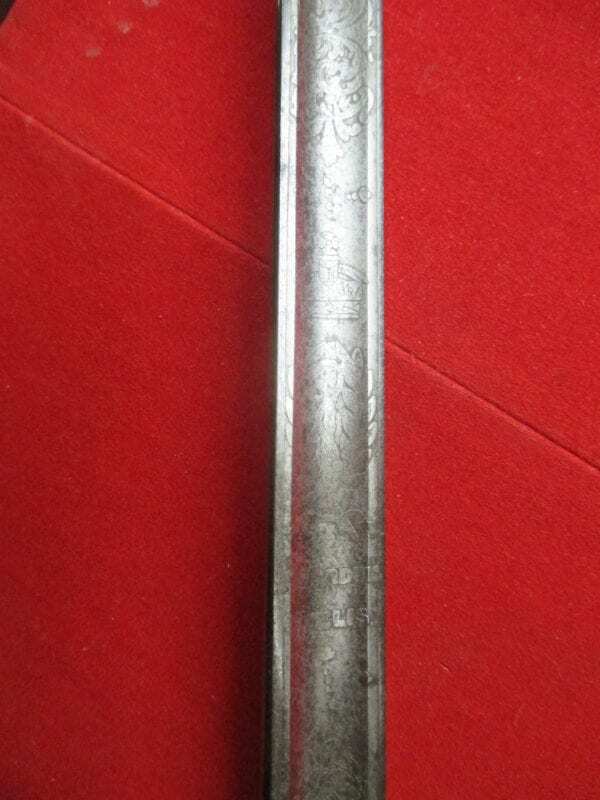 This pattern of sword is something of an anomaly. 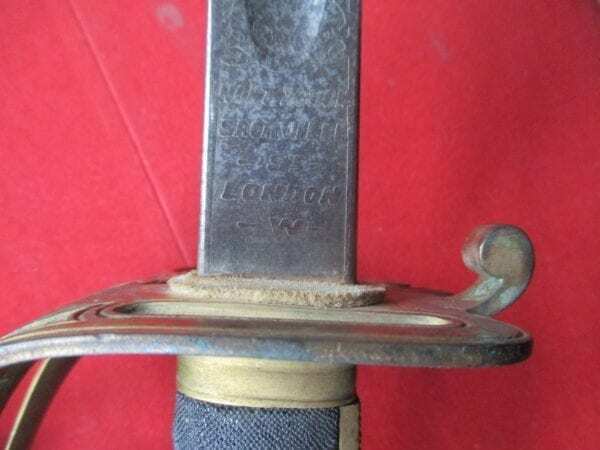 When in 1892 the infantry sword was fitted with an improved more solid basket hilt [still in use today] the RAMC retained the old gothic hilt that had been in use since 1845 and offered far less protection in battle. 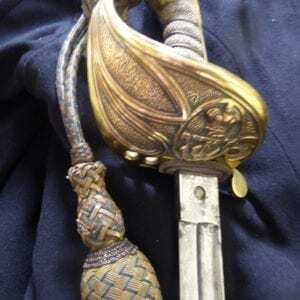 The sword has a gilt hilt which may be over the more usual brass but looks as though it is more probably gilded steel. 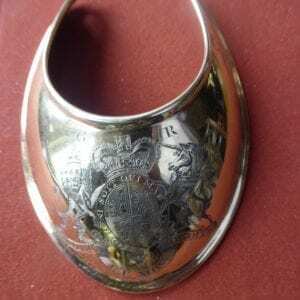 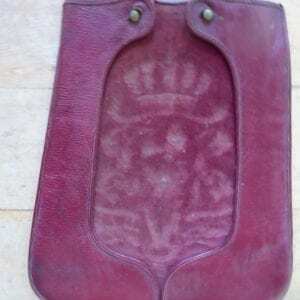 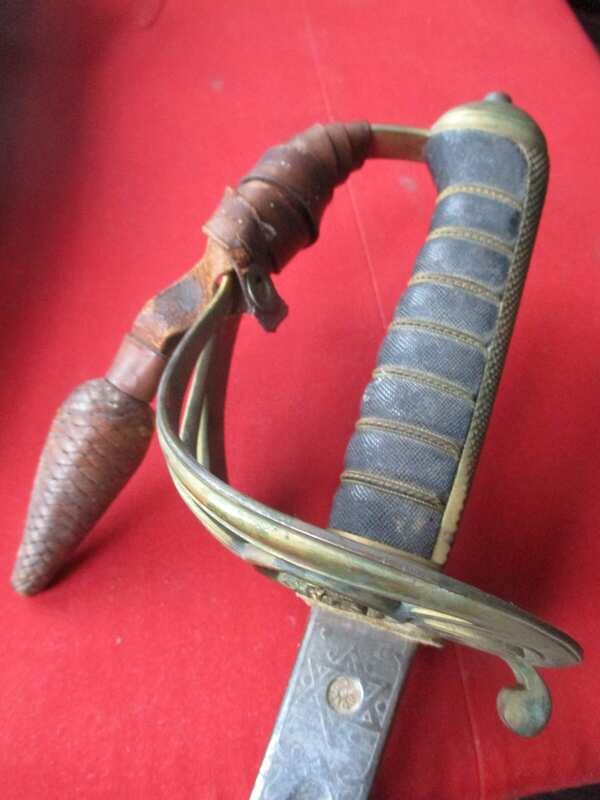 It retains its standard leather service scabbard and the leather service sword knot. 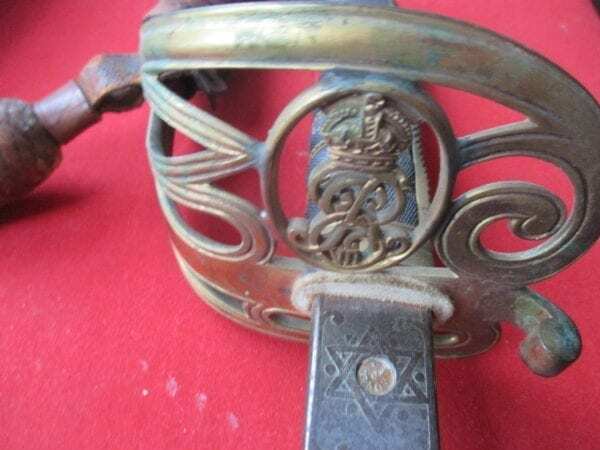 This sword appears to have been in an attic for nearly a hundred years but it retains its original leather carrying case with initials J A L on the flap and so has been fairly well protected. As usual we have made no attempt to clean this ‘find’ but the gilt is in good but dusty condition and the blade should clean up well. 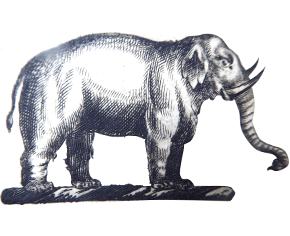 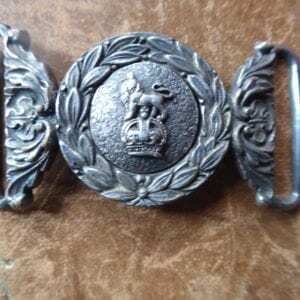 The RAMC did not finally adopt the usual infantry pattern sword until 1934.